America’s finest silver is displayed in all its glory with the 1992 American Eagle Silver Dollar. Every year savvy buyers stash these away. Each is struck in one ounce of 99.9% fine silver and is in near-flawless Mint State 69 (MS69) condition. In 1992 the price of silver dropped 13% throughout the year, prompting the U.S. Mint to cut production of 1992 Silver Eagle bullion coins to three-quarters of their volume from the previous year. 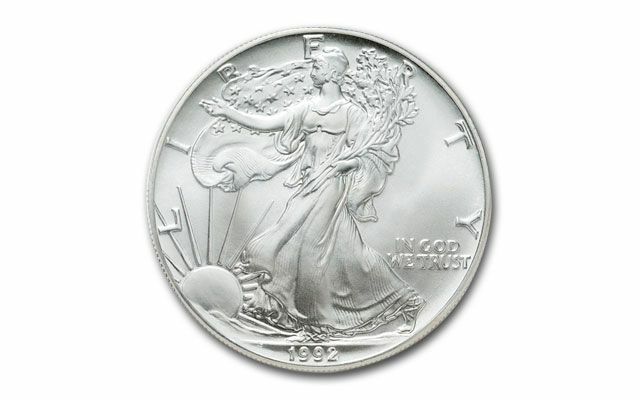 The 1992 Silver Eagle coin features the series' elegant and dynamic "Walking Liberty" design, an image inspired by a similar depiction on the "Walking Liberty" half dollar, which was minted in the U.S. from 1917 to 1947. 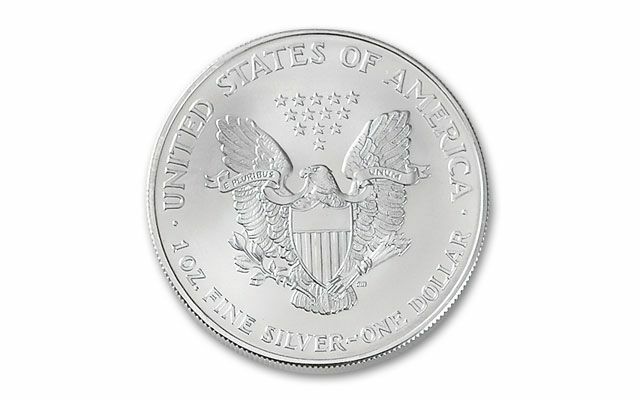 On the Silver Eagle's reverse face is a contemporary interpretation of the Great Seal of the United States, by John Mercanti, Chief Engraver at the U.S. Mint. A bald eagle is shown in a heraldic pose with wings outstretched. In its talons are a sheaf of arrows and an olive branch, and its beak holds a banner inscribed with "E PLURIBUS UNUM" ("Out of many, one"). Struck the open field above the eagle's head are 13 stars, representing America's original 13 states. As in previous years, the U.S. Mint also struck a Silver Eagle proof coin. 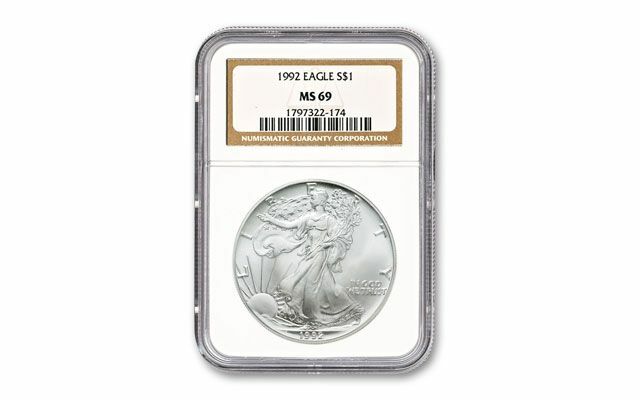 The 1992 Proof Silver Eagle features a highly polished mirror-like background with frosted (cameo) raised relief. Silver Eagles are a convenient, safe and secure way to invest in precious metal. 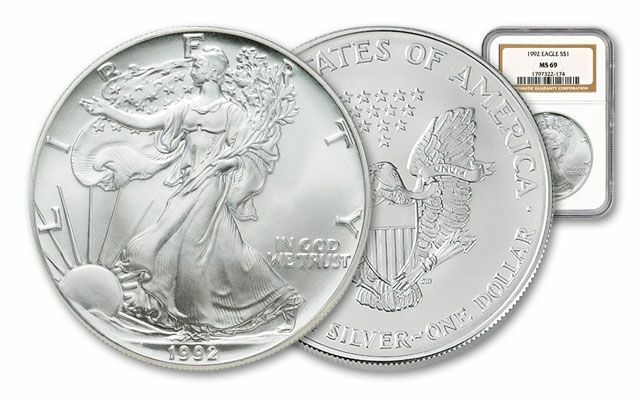 Why not add the 1992 American Silver Eagle to your Silver Eagle collection today? The overall average price of silver during 1992 was $3.95 per ounce.